Opportunity knocks here! Established Franchise in a Premium location. Beautiful build-out, includes outdoor patio seating. Gross Sales currently are approx. $35K-$45K per month. In its less-than-two-year history it has not been profitable. Absentee Owner says 'Sell NOW'. $65,000 OBO. Does not have to remain a franchise. To get more information about this Restaurant business for sale in San Luis Obispo please phone Rick Owens (Broker - BRE License #:01354249) at 805-543-0506 - if you get voicemail please leave a detailed message - make sure you mention you saw this posting/ad #245129 on BizBen.com. 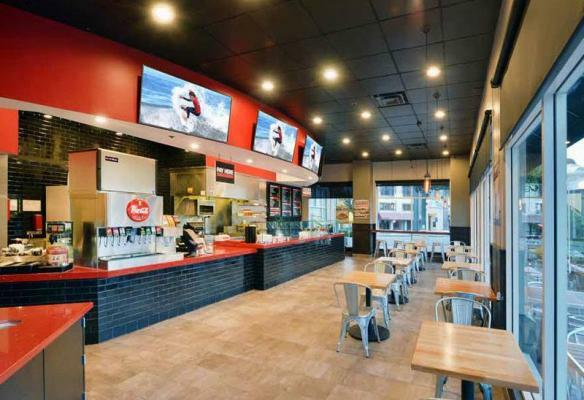 In addition to phoning Rick Owens, make sure you email Rick Owens above to get more info about this Restaurant, to ask any questions or request an appointment to see this business for sale, franchise, or opportunity. Thank you.